…after paying these gas prices! 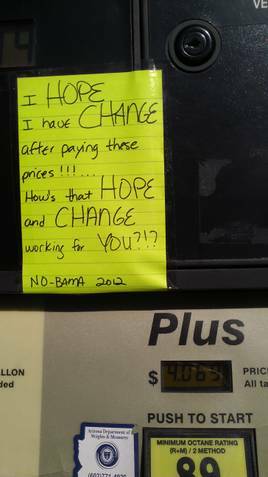 How’s that Hope and Change working for YOU? (I had the pen, I had the paper, I had the tape…in my purse. I asked myself, “Why not?” So I did. I taped it up.